There are so many ways we can make a difference. 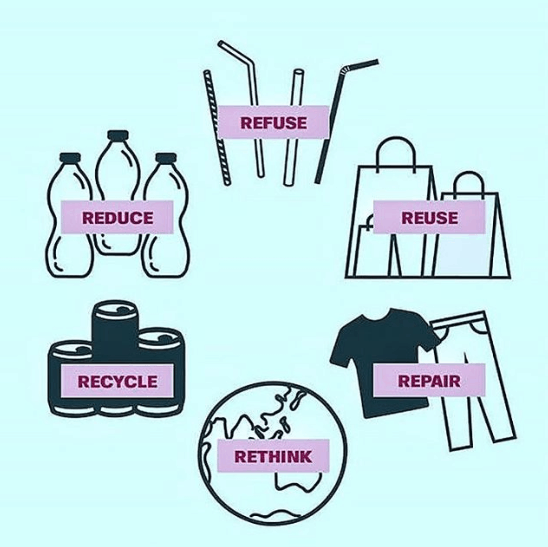 If we can all make small changes on a daily basis and be conscious of what we purchase and consume, habits can start to form which will benefit our environment. From composting scraps to sorting out rubbish into various piles to recycle, there are hundreds of small steps we can take. Compost those scraps. Instead of creating more landfill by throwing away every piece of rubbish, consciously create a compost heap in your garden where you can dispose of compostable waste. The benefit is two-fold. 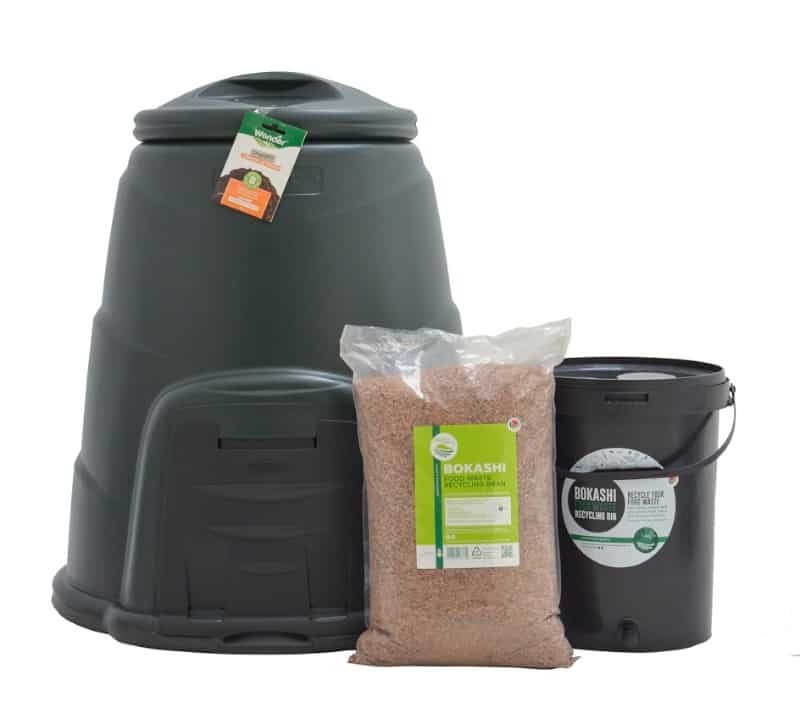 By composting, you create your own nutrient rich organic material to use in your garden, whilst reducing the amount thrown away. Any peels, skins from fruits and vegetables, eggshells, teabags, coffee grinds, green leafy garden waste, and other hardier garden refuse can be composted. Layers of waste are built up, and decay over time to create beautiful rich fertile compost. Our own composting guide can be found |HERE|.Or start indoors with a composting bin or Bokashi bin, into which scraps are thrown. The Plus side to a Bokashi bin, is that even meat and fish products can be tossed in. Click |HERE| to read more about Bokashi bins. Click |HERE| to find table top composting bins, beautiful enough for any kitchen! Wondering how to reduce waste? Find a market to purchase unpackaged fresh fruit and vegetables from, instead of ready packaged or chopped up fruit. If you’re buying fresh from a market- it’s often sold loose and not in plastic. Many dairies also offer fresh milk and yogurt by weight, and customers can bring their own glass bottles or containers to fill on a weekly basis. It’s a great idea to grow your own vegetables, herbs and fruit. This equates to a reduction in the amount of plastic you need to use when you buy individually packaged and prepared fresh foods- and promotes a healthy habit of only using what you have, and what you need. Re-use those glass jars. 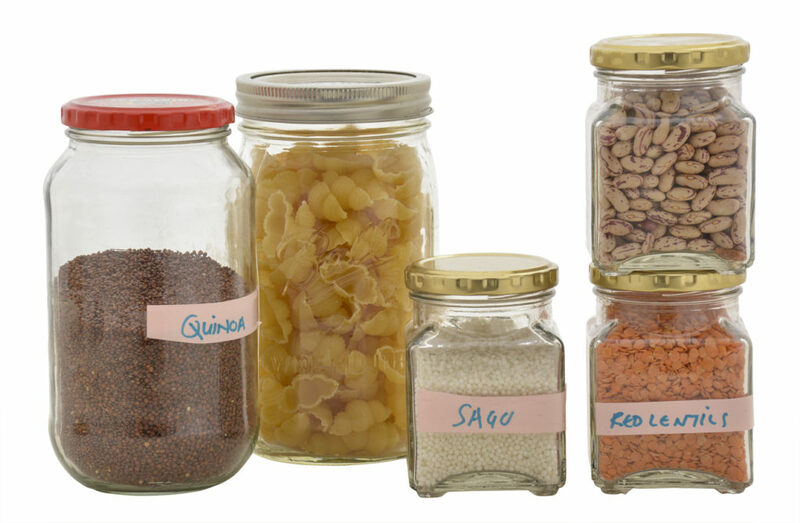 Old jam jars, pesto jars, tomato sauce bottles- wash them out and take them to The Refillery to fill them with the consumables you need. From sugar and oats to grains and coffee, nuts and fruits- they can all be stored in your glass jars. Completely guilt (and plastic) free. Eco-bricks are a way of recycling your non-recyclable plastic waste. Clean all plastic, dry it, stand on it, and squash into 2 litre plastic bottles until no more plastic can fit inside. These Eco-bricks are collected by various initiatives to build schools, create insulation and to reduce plastic landfill. We cannot think of a more responsible and selfless thing to do! Click |HERE| to learn how to make your own. Consider bringing your glass bottles to glass recycling plants. Take the paper labels off and recycle separately. Opt for wine with cork tops as apposed to plastic screw tops, if you can. Gone are the days of plastic cling wrap. Faithful to Nature sells beautiful locally made Supa Wraps made of Shweshwe fabrics. They replace clingwrap and can be used to wrap cheese, veggies or any leftovers, and can be wiped clean and hung out to dry, ready for the next use. Click |HERE| to check them out. 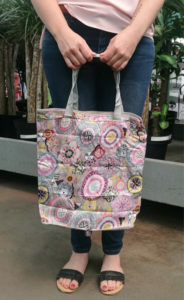 Many weekend markets and pop up craft stores now also stock these wraps- so keep your eyes peeled! Click |HERE| for a how-to video on how to make your own. Pet food cans and any larger cans be recycled! 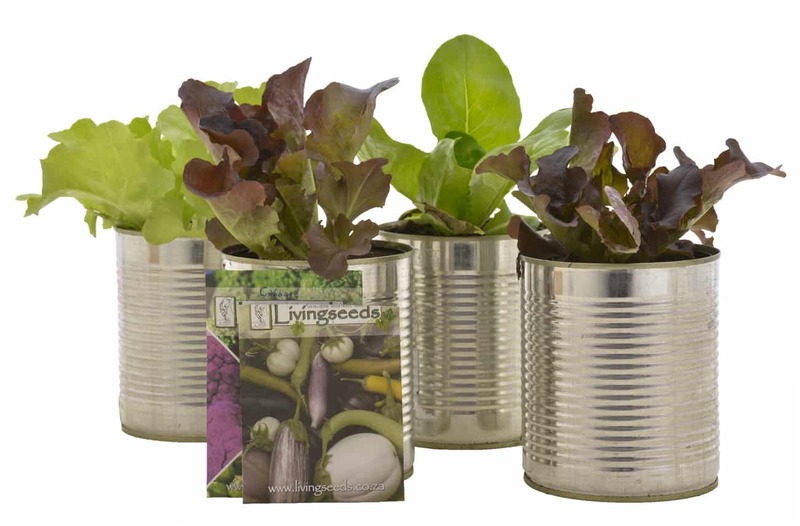 Remove the paper labels, wash out the cans and either recycle with other tin/aluminium waste or punch holes in the bottoms and use as planters for herbs or veggies. Harvest those seeds! An entire future crop exists within your current vegetable harvest. By saving seeds for the next season, you essentially eliminate the need to purchase new seed every growing season. Re-use those seeds! Get rid of the plastic toothbrush, straws and plastic kitchen sponges. But what do I do with the ones I already have? Re-use those plastic toothbrushes as scrubbing brushes in the garage, or as paintbrushes for the kids art. 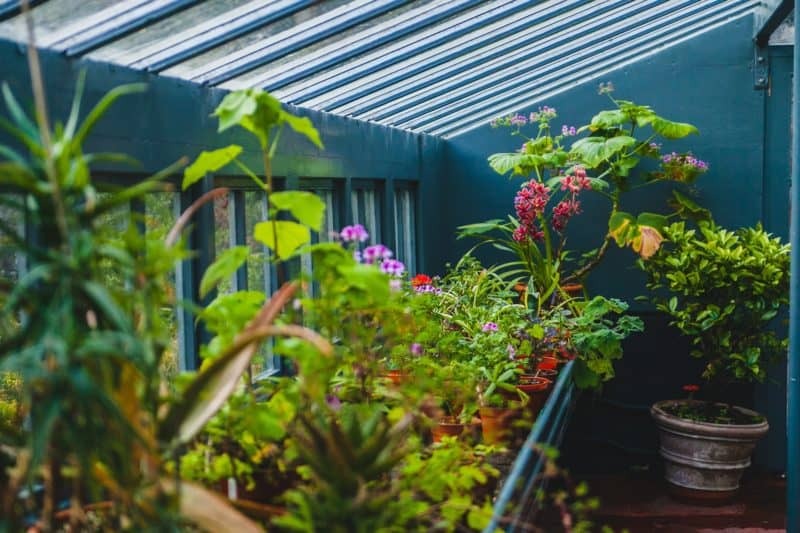 Add those plastic straws to your ecobricks, and use your plastic kitchen sponges in the bases of pots when planting up flowers and vegetables. They retain moisture whilst providing sufficient drainage. A handy tip straight from Jane Griffiths! Purchase eco-friendly and longer lasting alternatives. Organise recycling bins for paper, glass and plastic. Label them clearly and encourage staff to sort out their daily waste into these categories. Have a collection point for Eco-bricks. Find a local initiative which uses them and on a monthly basis, donate them. Investigate local recycling initiatives and actively get involved as a company. Educate staff as to the validity and importance of recycling, reducing waste, and re-using. Up-cycle those 2 litre cool drink bottles into planters. A multitude of herbs, veggies and flowers can be planted up in plastic bottles to make a striking vertical display. Click |HERE| to see the demo! Up-cycle the very same type of bottles into mini green house covers for new seedlings. Simply cut off the top of the bottle and place, like a dome, over seedlings. This has the added benefit of protection from birds and creepy crawlies. Turn wine bottles upside down and use as borders for beds. Alternatively use them as slow release watering devices for pots. Plant your own. Start small with your own lettuces, and slowly grow your crop to become more self-sustaining. This reduces the amount of packaging you buy (and dispose of) and you also learn to grow what you need. What a win-win situation! Just one recycled tin can save sufficient energy to power a television unit for three hours. A single recycled glass bottle provides the energy to power a computer for 25 minutes. Just one recycled plastic bottle gives the energy to power a 60-watt light bulb for three hours. The unreleased energy contained in the average waste-bin each year could provide power for a television unit for 5,000 hours. An average of 16% of the money spent on a product pays for the packaging, which usually ends up being discarded. The important thing is to remember that learning to recycle takes time! Recycling is actually a mindset that needs to be a adopted and is an adjustment in the way many of us live. Remember that the cleaner you live now- the better a future we leave for generations to come! 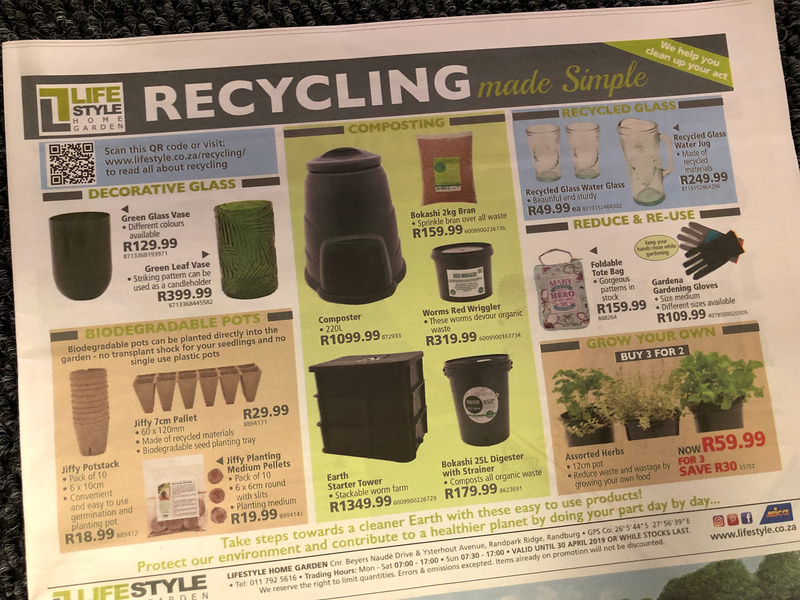 We were featured in the Neighbourhood newspaper on the 14 April 2019- take a look at our Advertisement, focussed entirely on Recycling made Simple! We hope that you feel empowered to start Recycling, re-using and reducing waste!! 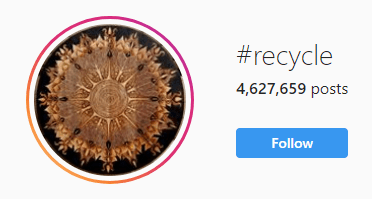 Have a look at the fabulous change makers we found on social media who are taking a stance and leading their communities by living waste free to their best ability!